Another post that is slightly related to our Symantec Endpoint Protection (SEP) testing; on our Windows 7 machines, we’ve found that with SEP installed and enabled, the jumplists for all programs are drastically slower to appear. As soon as the antivirus auto-protect is disabled, performance returns to immediate. This slowdown was most notable on Windows Explorer jumplists, however it also affected Microsoft Office and other programs. I eventually found a solution, related to an obscure location for the jump list cache. After this you will need to re-pin any items you previously had pinned for that application. This will only resolve the problem for Windows Explorer; you may have to do some trial and error to find the appropriate cache to delete for any other programs. We’re currently testing the latest release of Symantec Endpoint Protection (SEP) 11 MR6a, to replace the Symantec Corporate Antivirus 10.1 that we’re currently using. During this testing, we’ve found a bug that is only mentioned a few other places online. If you have SEP11 installed on a computer with the Internet Explorer 9 beta, it will not receive definition updates from the management server. I haven’t heard of a solution to this problem yet. The work-around that we’ve done is to create a new Location within the management server whose membership filter the computer name or IP of the IE9 beta participants. Then we assign a new LiveUpdate policy to that location, which forces those computers to use LiveUpdate for definitions, instead of the management server. Hopefully this issue is fixed before IE9 hits release. At my company we use a software product called Mindtouch Core as a company Wiki/intranet. A future post will detail our implementation. 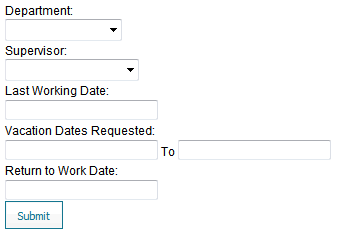 One feature request was to automate the vacation request procedure in our company. Because we wanted to keep it simple, is it not fully automated or database driven, but automates the sending of email through the use of a HTML form to a php page. I make no claims on this being ‘good’ code, as I’m not a coder. However, it is functional and serves it’s purpose. This is the current contents of our HTML form, with comments for explanation. // Required for email to work. Dependencies on existing files from the wiki. // Used in conjunction with the IF statements below to add recipient. // Error checking on empty fields, if Business is selected but no sub-business department is. // Begin the code for the mail to be sent. // Body is built from variables used in HTML form. $mail->Body = "A request for Vacation time was received by <b>$username</b> on $date. 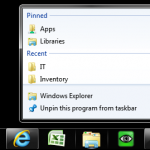 When Notepad opens, you can click File > Open, and from that window access any file on the computer or the network that requires admin rights. 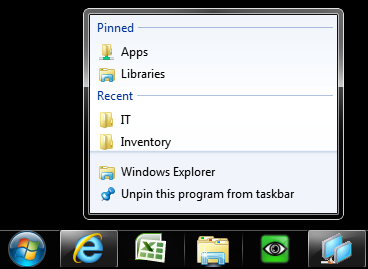 This isn’t as effective for accessing Control Panel or other system functions, however with Windows 7 UAC this isn’t as much of an issue. Welcome to my blog; I’ve had this idea in mind for a while, and finally decided to do it. I will attempt to post an update at least once a week, perhaps more. I don’t want to exhaust my list of topics and then have a dead site.